Japanese publisher Marvelous Entertainment hasn't seen the success on the Wii that it might have envisioned. Releases like No More Heroes, Muramasa: The Demon Blade and Arc Rise Fantasia haven't captured the Wii audiences attention just yet. What to do? How about porting some of your Wii misses to the PlayStation 3 and Xbox 360, hoping for high-definition hits? That's what Marvelous is considering, according to a financial presentation poked at by Siliconera. That means Wii up-ports and a renewed focus on Microsoft and Sony's now-gen platforms, an attempt to lure in the underboob crowd with better looking underboob. Muramasa: The Demon Blade seems like a natural fit for a higher-resolution port, given its relatively simple 2D transition to more graphically capable consoles. 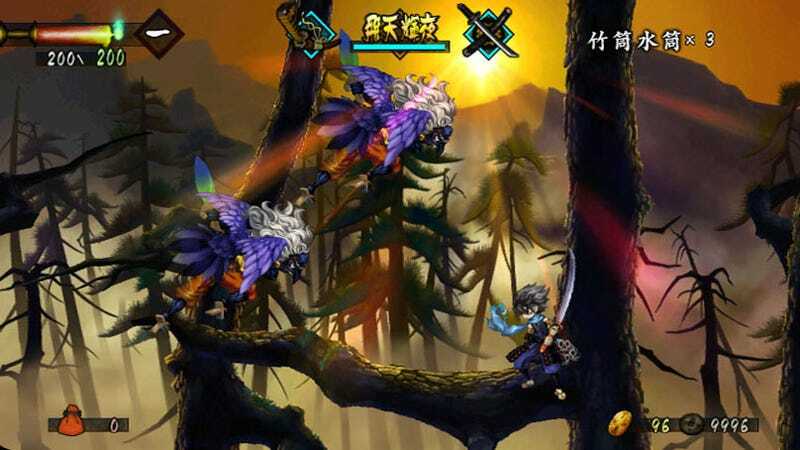 Perhaps some Odin Sphere fans will latch on to the non-Wii version of Muramasa, still due to hit North America this year. And, given Grasshopper Manufacture's Goichi Suda's latest comments, noting that the next No More Heroes title is probably not going to come to the Wii, we'd think a port of the first two might make for some easy cash. It's not like Marvelous and its developers are lacking for Wii games to pretty up, it mostly a concern of what makes sense.